The hobo handbag is a style of handbag or purse that is typically large and characterized by a crescent shape, a slouchy structure and a long strap designed to wear over the shoulder. Hobo bags are made out of soft, flexible materials and tend to slump, or slouch, when you sit it down. There are many different sizes and shapes of this popular handbag. The hobo bag has become a very popular choice worn by Hollywood celebrities. Hobo bags have a strap, whose length is often adjustable. Most women wear hobo bags on their shoulder, as opposed to holding the strap in their hand. Hobo bags are produced using flexible materials such as soft leather, microfiber or suede. As a result, this style of bag tends to slouch or fold in on itself, even when hanging from a woman’s shoulder. Hobo bags tend to have a casual appearance they look great when paired with relaxed summer apparel that includes maxi sun dresses, skinny jeans or even cotton Capri pants. 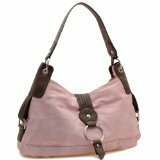 Most hobo bags provide women with enough room to carry all their essential items such as a wallet, phone and cosmetics bag. If you’re anything like me in the summer I love to wear heels but I carry a pair of flip flops in my bag as well. 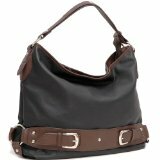 While hobo bags look great, different styles and colors are appropriate for different occasions. Large hobo bags are too bulky and should not be worn with office attire, particularly conservative suits or with very formal dresses. Instead, they are better paired with casual clothing. When choosing a hobo bag for formal attire, pick one that’s smaller in size also one that is a solid color without pattern. 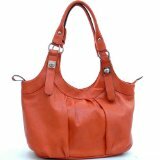 Hobo handbags can vary in pricing and we carry an array of them. Look for stylish hobos at www.loveourhandbags.com.